Regarding the barbershop story, if true, the child could not be William Hootkins. I knew him very well. He did not want a “one world order”. He also had reddish hair, not blonde. He was Jewish and so was his father. The last thing they wanted was another Hitler/Holocaust. They loved America and capitalism. However, William (known as Bill), was a huge Democrat until he died and loved JFK. The idea he would be a part of his assasination is ridiculous. His father Seymour was a staunch Republican and they fought/disagreed on most political issues. He was a genius and a prodigy in languages and took many language courses during the summers but never became extremely close with any teachers/tutors. The FBI interviewed him because he knew Ruth Paine but he knew nothing of the assasination and didn’t believe his teacher Ruth knew anything about it either. You can easily look up that he was a registered Democrat. He was a very nice and friendly person, please let him Rest In Peace. He died in 2005 of cancer. Just wanted to clear that up. 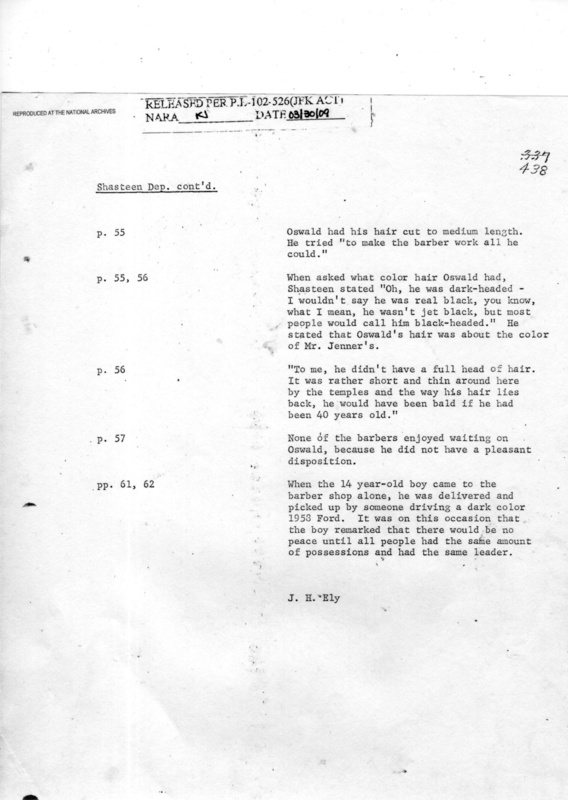 LBJhadJFKkilled wrote: Regarding the barbershop story, if true, the child could not be William Hootkins. I knew him very well. He did not want a “one world order”. He also had reddish hair, not blonde. He was Jewish and so was his father. The last thing they wanted was another Hitler/Holocaust. They loved America and capitalism. However, William (known as Bill), was a huge Democrat until he died and loved JFK. The idea he would be a part of his assasination is ridiculous. His father Seymour was a staunch Republican and they fought/disagreed on most political issues. He was a genius and a prodigy in languages and took many language courses during the summers but never became extremely close with any teachers/tutors. The FBI interviewed him because he knew Ruth Paine but he knew nothing of the assasination and didn’t believe his teacher Ruth knew anything about it either. You can easily look up that he was a registered Democrat. He was a very nice and friendly person, please let him Rest In Peace. He died in 2005 of cancer. Just wanted to clear that up. I never fault anyone for defending their friends - but it is always a consideration when evaluating said defense. 1. The barber as a witness, is eminently believable, so the starting point is that the boy existed. 2. The barber testified to knowing every kid in Irving. This 14 year old was not known to him, ergo was NOT from Irving. 3. No one ever accused him of being part of the assassination. 4. You misunderstand if you think I was saying he believed in "one world government". He said it - that is not necessarily the same as believing it - especially for a budding actor. 5. We have a photo from his school days. Firstly, it looks blond in the photos. Secondly, saying his hair was "reddish" is not a way to rule him out. Thirdly, when you look at the photo and read Shasteen's description, you can see just how well they match. 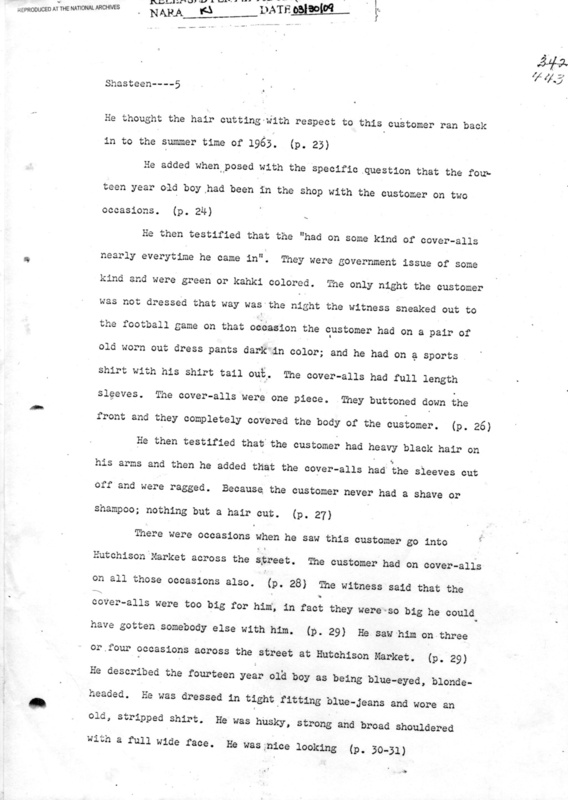 From Shasteen the barber's testimony: but if you bring it down to his looks, he was blue-eyed, "blonde-headed--he was not a light blonde he was a dark blonde. In fact a lot of. people might call him brown-headed." So I guess a lot depended on lighting conditions. 6. He was indeed, a genius - something noted by Shasteen. "But he wasn't nobody's dummy because a 14-year-old boy can't spit out--I wouldn't attempt to say just how he said everything" In other words, the kid used a lot of big words that Shasteen didn't understand. 7. Apart from the hair and intelligence and not being a local, every other descriptor used by Shasteen applied to Hootkins. "he was a husky kid, he wasn't what you call fat, but he was strong--broad-shouldered--he had a real full, and when I say full, I don't mean a round fat face, he was a wide-faced kid. You know, he was a nice looking kid." 7. Ruth Paine started picking him up for lessons at exactly the time the kid started appearing at the barbershop with Lee O. 8. His being Jewish is irrelevant. Some Jews joined the US Nazi Party. By your reasoning, that would be impossible. 9. His being a Democrat in the South does not make him a JFK lover -- by any stretch. 10. This one is neither here nor there, but officially the FBI did not interview Bill. They interviewed his mother. Whether he was present or not is not stated, but it was probably FBI policy to not interview kids. 11. Shasteen was familiar with Ruth Paine's car and identified her car as what Lee and the kid arrived in at least on one occasion. So... we are looking for a 14 year old male, husky but not fat, broad-shouldered, blondish-brownish-reddish hair, good looking, extremely intelligent and not afraid to speak up to adults at a time when most kids knew not to speak unless spoken to, not an Irving local - and who had access to Oswald from around mid October. Sounds like Hootkins to me, In fact, it narrows the possibilities down to JUST Hootkins and Hootkins alone. Thanks for the feed back. No doubt you will not change your mind. Friendship in the majority of cases, outweighs any amount of evidence. Again - not blaming you for it. Just human nature. But I think anyone else reading this will conclude it couldn't be anyone else. You can see my hair color in the videos I made as well. Not so cut and dry. It's really influenced by a lot of things, lighting, surroundings, etc. Thanks Stan. Yes. As soon as you start adding "ish" to a hair color, you are automatically saying that the person could also be described as having other "ish" colored hair as well. And as you point out, there are variables which dictate which "ish" it will be at any particular time. If this kid was there innocently, why did he never return after the assassination? If the FBI had really wanted to find this boy, they would have gone through the same process I did. 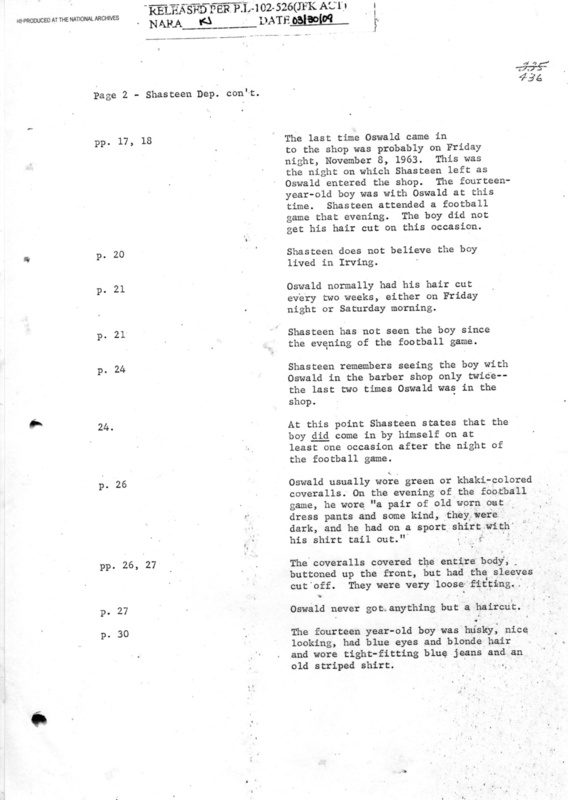 What boy of that age and description had possible access to Oswald from mid October? They investigated Ruth's employment at St Mark's, they knew Ruth was picking Bill up for lessons. They knew he was the right age. They knew he was very bright. They interviewed his mother. Yet we are expected to believe his name never came to mind as the kid with Oswald at the barbershop. Let's look at Shasteen. He was a security informant for the FBI at Chance Vought during the Korean War, reporting on Com Symps. So Shasteen had an association with the FBI. Ruth was being visited by the FBI and was getting along famously with them throughout November and beyond, passing on all sorts of stuff before and after the assassination. St Mark's Asst Headmaster had come from a school which ran a kind of junior FBI undercover operation spying on com symps and infiltrating their groups. I believe St Mark's likely ran something similar - and it was a perfect way for a budding actor to hone his skills. I believe as an actor, he was tapped to play a commie sympathizer and get close to Oswald through Ruth. Each time he was at the barber's with Lee, he was silent. But the last time he was there, a few days before the assassination, he was alone and it was on this occasion he let fly with his One World soliloquy. Of all the people he could say these things in front of in Irving, Shasteen was one that you could absolutely be sure would inform the authorities. The purpose? To smear Lee as a commie symp by association. But there is no reason to believe young Hootkins knew what the real purpose was. Everyone knows only what they need to know, and Bill most likely assumed Lee was a Commie and was simply being set up to prove it. Actually he was interviewed by the FBI, not just his mom. Both his parents were with him during his interview. They asked him many questions. It could have been any child at the barbershop, you have no proof. Even if it was him, which it wasn’t, it doesn’t mean anything. You should do your research before making accusations. You thought he was a republican just because his father was and he was a life long democrat. LBJhadJFKkilled wrote: Actually he was interviewed by the FBI, not just his mom. They asked him many questions. Thanks. That may well be the case, but only the interview with the mother is in the records. This is the second such case. I once interviewed a doctor who had a lengthy conversation with Oswald in New Orleans when she was only 16. She had visited the Oswald's with her sister and her mother as local quakers at the request of Ruth Paine. 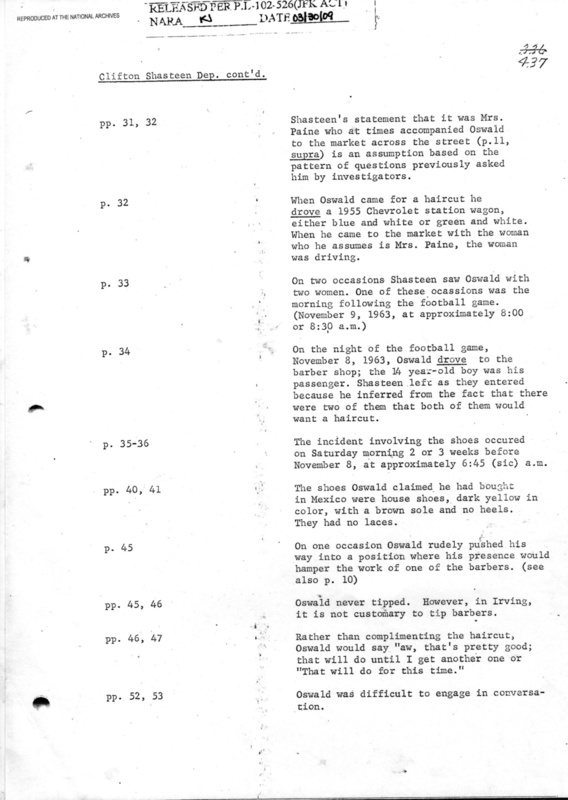 She told me that the FBI came to their house and interviewed their mother but had no interest in hearing anything the two girls said - despite the fact that they were the ones who had the most time with Oswald. Their mother spent the whole time in the kitchen with Ruth and Marina. And the records backed this up. 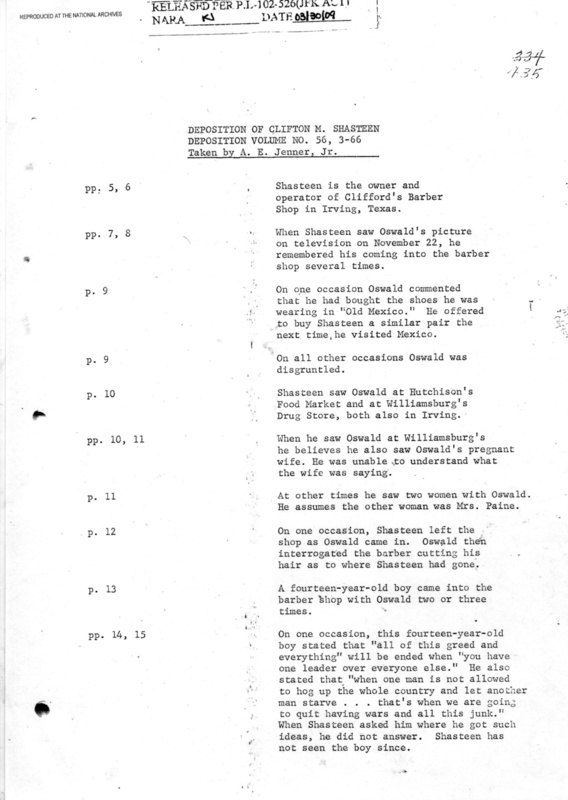 An FBI report based on an interview with the mother exists, but no reports of any interviews with either of the girls. That was the basis for assumption about FBI policy. It’s my personal belief that LBJ has JFK killed and used the CIA to do it. He was an evil man who hated JFK and had a maniacal obsession with becoming president. He was from Texas so he had contacts there and knew Dallas so it was easiest to do it there. There was also someone who heard part of a phone call as a child about the planning of the assasination by LBJ and an unknown person. The second he heard JFK was dead LBJ immediately ordered the Oval Office to be cleared out of all of JFKs things and to have his immediately moved in. Jackie O was shocked he couldn’t even wait til JFKs body was cold. The CIA helped him do it because JFK made it known publicly he wanted to get rid of the CIA. They wanted to keep their jobs so they were happy to help LBJ. LBJ made sure to be far away during the assasination so it wouldn’t look like he was involved. As most people know, JFK wanted to get rid of the federal reserve as well which made him an enemy to many. They asked him many questions. It could have been any child at the barbershop, you have no proof. Even if it was him, which it wasn’t, it doesn’t mean anything. You should do your research before making accusations. You thought he was a republican just because his father was and he was a life long democrat. He said they asked him many questions, but no report of that exists. No it could not have been any child at the barbershop. 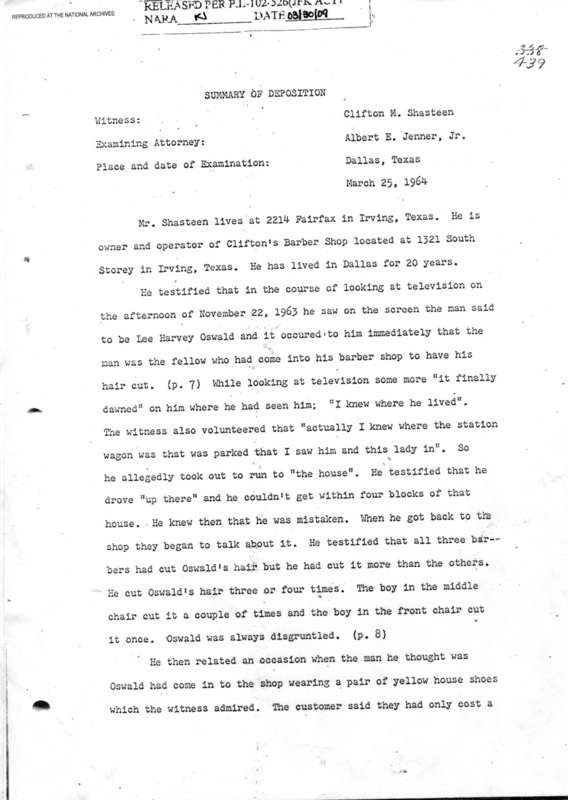 It was specifically a male child, 14 years old (Shasteen asked his age because he was so taken aback by what he was saying), who did not live in Irving, was very very intelligent, had blondish hair, broad shoulders and a wide face and had access to Oswald. Those parameters narrow it down to a single child. Bill Hootkins. I do not recall saying he was Republican or Democrat. And I would not normally put those labels on a 14 year old. I certainly did note that his father had donated to Republicans. Please quote me saying Bill was anything at all politically. I think once again, your friendship is coloring your responses. LBJhadJFKkilled wrote: It’s my personal belief that LBJ has JFK killed and used the CIA to do it. He was an evil man who hated JFK and had a maniacal obsession with becoming president. He was from Texas so he had contacts there and knew Dallas so it was easiest to do it there. There was also someone who heard part of a phone call as a child about the planning of the assasination by LBJ and an unknown person. The second he heard JFK was dead LBJ immediately ordered the Oval Office to be cleared out of all of JFKs things and to have his immediately moved in. Jackie O was shocked he couldn’t even wait til JFKs body was cold. The CIA helped him do it because JFK made it known publicly he wanted to get rid of the CIA. They wanted to keep their jobs so they were happy to help LBJ. LBJ made sure to be far away during the assasination so it wouldn’t look like he was involved. Sorry. I don't think even Henry Wade would go to court and try and hang someone on that case. It is big on belief and strong sentiment, but a little shy on evidence of any actual guilt - except for the alleged phone call. But that is moot since the witness is an unknown kid. Do we even know when the phone call was, or who the victim was going to be? Those things seem kind of important. A lot of the stories around LBJ that point to his "evilness" seem to have a touch of fake news about them. Uncouth and crude he was, but that's as much as I could pin on him. That’s why I said it was my personal belief it was LBJ, because unfortunately most the evidence was destroyed or covered up by our own govt. all roads lead to LBJ and Russia/Oswald was just a scapegoat. You did insinuate he was a republican because you stated he probably got his “utopian warrior” beliefs, whatever that means, from his dad because you saw that he donated to the GOP. My relationship with Bill was not a friendship, another false assumption on your part. You cannot prove he was there, so instead you should state it is your opinion or belief. I am disappointed that if you search his name, this is one of the first websites to pop up. He had an incredible life and accomplished career which is overshadowed unfortunately by this consipiracy theory. He was a good man and always trying to make people laugh and smile. LBJhadJFKkilled wrote: My relationship with Bill was not a friendship, another false assumption on your part. You cannot prove he was there, so instead you should state it is your opinion or belief. Why are you so unnecessarily antagonistic? LBJhadJFKkilled wrote: Regarding the barbershop story, if true, the child could not be William Hootkins. I knew him very well. But Greg has shown through a preponderance of evidence that the child could indeed be Hootkins. In fact, I'll say that it as likely that the child is Hootkins as it is that Prayer Man is Lee Oswald. Now isn't that a hoot? "LBJ made sure to be far away during the assassination so it wouldn't look like he was involved"
Really? I'm sure he could have made it further than 2 cars back in the motorcade if he wished. Where do you place him during the shooting? It would appear that the assertion LBJ did it is as arbitrary as that of Hootkins not being in the barber shop. I'm fascinated by Mr. Hootkins' story and am in awe of his genius. Love his characters and would have been honored to associate with someone like him just for the fun of it. I don't think his being associated with this casts an aspersion upon him in any way. He was only 14 years old after all and if he kept a lid on it thereafter, in the final analysis I wouldn't really blame him for self preservation. You are horribly misquoting me. This is what I said - "Seymour did not exactly bring young William up to be a Utopian Warrior." Which is the exact opposite of what you claim I said. What I am saying is that he never got his ideas about being for "One World Government" from his father. I am insinuating that those ideas that he put to Shasteen were no more than part of a script. My relationship with Bill was not a friendship, another false assumption on your part. It was an assumption based on your claim to know him very well. If you knew him "very well" and you were not a close friend, I would have to believe you were a relative. So were you a relative but not a "close friend"? I don't really see any other options unless you were a teacher of his, a professional associate, or his therapist? You cannot prove he was there, so instead you should state it is your opinion or belief. The chances of it being any other kid in DFW are zero. Why? Because the description given by Shasteen rules out 99% of all kids. How many 14 year old boys do you recall from 1963 in that part of the state who were blondish, broad shouldered, good looking, super smart, wide faced, and had the audacity to speak to an adult like this kid did? I will call you a liar if you say more than one - and we both know who that one is. The chances that Shasteen would give such a unique description of a kid - and that unique description happens to match the kid who is being picked up by Ruth Paine on a regular basis, which begins at the same time as the boy starts appearing at the barber shop with Lee, make it absolutely impossible to be anyone else. I understand you don't like it. I understand you don't want to believe it. But that's just too bad. It happened, and your denials are only evidence of your loyalty to the Hootkins and nothing else. Jake Sykes wrote: It would appear that the assertion LBJ did it is as arbitrary as that of Hootkins not being in the barber shop. He was the kid. That is absolute fact. What is merely an opinion is that he was playing a role. As you say, he was 14. What 14 year old kid in 1963 wouldn't want to be a part of some spy games? As an adult, he moved to England and established his acting career. What he did at 14 was well behind him. He could even tell himself, he was just another victim, used for a purpose that was hidden from him. I am disappointed that if you search his name, this is one of the first websites to pop up. 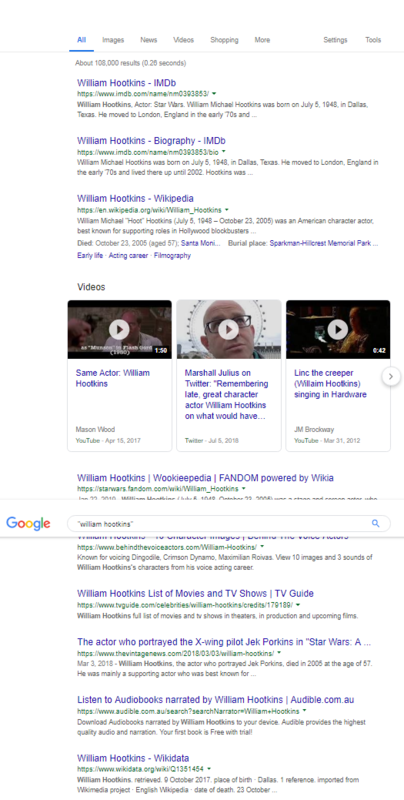 I just wasted my time searching on google using the search term "william hootkins". I went through 16 pages and this site never came up at all. To be sure, I then searched "Bill Hootkins" and this time it brought up 13 pages - none of which included this site. I then searched Hootkins and Oswald - and this time, I got some of my work on this at the bottom of the page but pointing to a completely different website (Alan Dale's website). The only way you get this site to "pop up" in a high place in the search ranks would be using exact quotes from here. You said you only used his name to get this site to pop up. But you were not being truthful about that were you? What is this person's agenda here. He or she is being dishonest and misleading. I'm calling it out for what it is. You've made an extremely strong case for the boy in the barbershop to be Hootkins to the exclusion of all other boys in Dallas at that time. Mick Purdy wrote: Greg, you're too kind. Bringing to my attention that the assumption of "friend" was wrong, and since the truth has not been volunteered, I did some digging and now know exactly who the person is and what the relationship is. 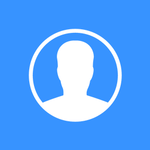 But since it has not been volunteered, I won't make it public without permission. What I will say is this. The person has jumped on here based on a complete misreading of my work. Did I accuse Bill of being involved in the assassination, as alleged? No. Preposterous. Did I ever state that Bill was a Republican? No. Only that his father was. Does it make any difference at all if Bill was a Republican or Democrat? Not one iota. Why? Because this was nor about Kennedy. It was about Communism/Anti-Communism. There was an assumption made that I did not know he was Jewish. I certainly did know that but decided it is immaterial. However now that it is brought up, let's set it straight. He was of Russian-Jewish heritage. A lot of Eastern-European Jews fled to the US either because of the Nazis or the Communists, or famine or other major issues. .
Ruth Paine had worked with these emigres closely throughout the 1950s. Mrs. PAINE - That was when I first became acquainted with the Quakers and their beliefs, and I was active in attending the Friends meeting in Columbus from that time on. Mr. JENNER - Now, these cooperative studies, my information indicates that in the first quarter of 1950, that is, January through March, you were recreation instructor and a leader in the Jewish community at Indianapolis, Ind. Mrs. PAINE - That is correct. Mr. JENNER - And do I correctly summarize in capsule form the nature of your work at the Jewish Community Center in Indianapolis? Mr. JENNER - That is recreation instructor and leader? Mr. JENNER - Then in the summer of 1950 you were a camp counselor at Big Eagle Camp at Indianapolis, Ind.? Mr. JENNER - And you were particularly given an assignment, and I may say everybody anticipated it being a difficult one, of working with the Golden Age Club. Is that correct? Mrs. PAINE - Yes; I had three club assignments and this was the one that took the most time. Mr. JENNER - Would you please tell us what those assignments were? You say there were three. Mrs. PAINE - Yes; I worked with the Golden Age Club as you have said, with a group of young adults, and also with an open lounge, lounge with games and playing cards, newspapers, for members' use. Mr. JENNER - I think it would profit us in bringing out your background if you take those three groups and in capsule form tell us what your work in connection with those groups was. Take the Golden Age Club first. They were a group of what people? Mrs. PAINE - The Golden Age Club consisted of people over the age of 60, all of them Jewish. Mr. JENNER - Were they all emigres? Mrs. PAINE - To the best of my knowledge, all or certainly nearly all emigres. In fact, most of them had come from, a good many of them had come from Kiev, and they had come around the turn of the century. Mr. JENNER - That is a city in Russia? Mrs. PAINE - Yes; and they spoke Yiddish in conducting their business meetings, to one another, although since most of them, all of them had been in this country for a long time they understood English and spoke it. There were some who did not read and write English, and I undertook to teach a few. So the Hootkins family would have been of some interest to Ruth based on that background. Fwiw, Jack Ruby's family were from an area of Poland that was disputed territory and they too, fled to the US. I will only add for now that the agenda to me, seems to be in the name of this thread. I believe it was hoped anyone looking for "Bill Hootkins" material would find this and see that he was "innocent". But all that will happen is that people will click the link and read both sides here. One side has used facts, the other side has used emotion. So if that is the agenda, it is going to backfire. Sounds a bit like Robert Morrow with all the LBJ blaming. LBJ himself did not believe in the Warren Report. In an interview with Cronkite he expressed his doubts. He even had his own acting Attorney General Ramsey Clark conduct a private investigation into the assassination. Vinny wrote: Sounds a bit like Robert Morrow with all the LBJ blaming. LBJ himself did not believe in the Warren Report. In an interview with Cronkite he expressed his doubts. He even had his own acting Attorney General Ramsey Clark conduct a private investigation into the assassination. Yep, Vinny too true. And in the end he did not support the lone gunman theory. Said so publically. The LBJ did it theory is riddled with problems. Did he have a hand in the cover-up - in my opinion most definitely. Did he have anything to do with having JFK killed? In my opinion most unlikely. Hootkins dropped off and picked up in a 1958 dark colored Ford. Oswald seen driving a (dark?) blue and cream colored 1957 or 1958 Ford. Mr. JENNER. What color hair did this man have? Mr. SHASTEEN. Oh, he was dark headed--I wouldn't say he was real black, you know, what I mean, he wasn't jet black, but most people would call him black-headed. Mr. JENNER. What color would you say your hair was? Mr. SHASTEEN. Mine is dark brown, and what is not grey up it's covered up with oil. Mr. JENNER. What color would you say mine is? Mr. SHASTEEN. Oh now I think your hair is---it's a shade of black. It's not a dark black. I would say his hair was about the color of yours--it might have been a little bit darker. It might have been a little smuttier. You see, hair is a funny thing--a guy can be dark headed and if he puts oil on it, he looks real black and if he washes the oil out it's got a smutty look and he never did wear much oil because about the only time he ever come in the shop, never had his hair combed and he never had any oil on it or nothing and naturally after we cut his hair and put a little oil on it, it made it look darker. Mr. JENNER. It darkened it up? Mr. JENNER. Mr. Davis, you're talking about? Mr. SHASTEEN. His hair, if you took the oil off of his hair and washed it out with some kind of heavy shampoo, it would almost be what you call a blonde or light red, is that right? Mr. JENNER. How much hair did he have? A full head of hair? Mr. SHASTEEN. To me, he didn't have a full head of hair. It was rather short and thin around here by the temples and the way his hair lies back, he would have been bald if he had been 40 years old. Mr. JENNER. 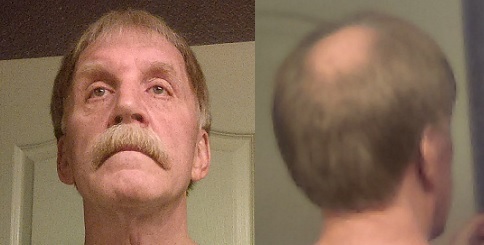 He had hair around the center, but he was losing his hair around the sides of the forehead? Mr. SHASTEEN. Yes; there was just a little crease that started back here. Naturally, a barber would notice that because the hair is much finer back here, you see, than it was down here [indicating]. In other words, I have as much hair as I ever had but it's just so fine you can't see it and that's what happens to a guy when he gets bald-headed. The hair is still there but it just doesn't grow. It's just little fuzz, and that hair of his, in another 5 or 6 years he would have been bald-headed. You can believe it.